Hey everyone! 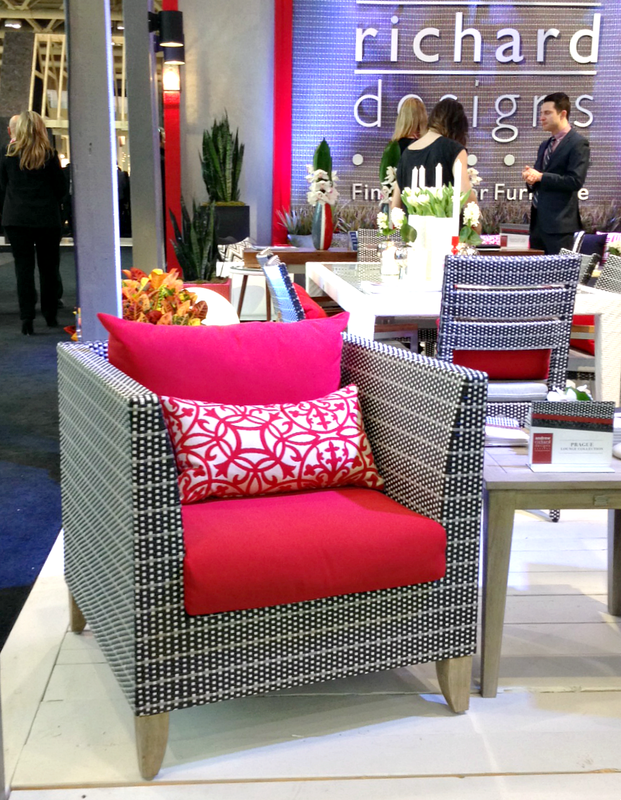 Welcome to my final IDS14 post! You can find the first recap here and the second one here. 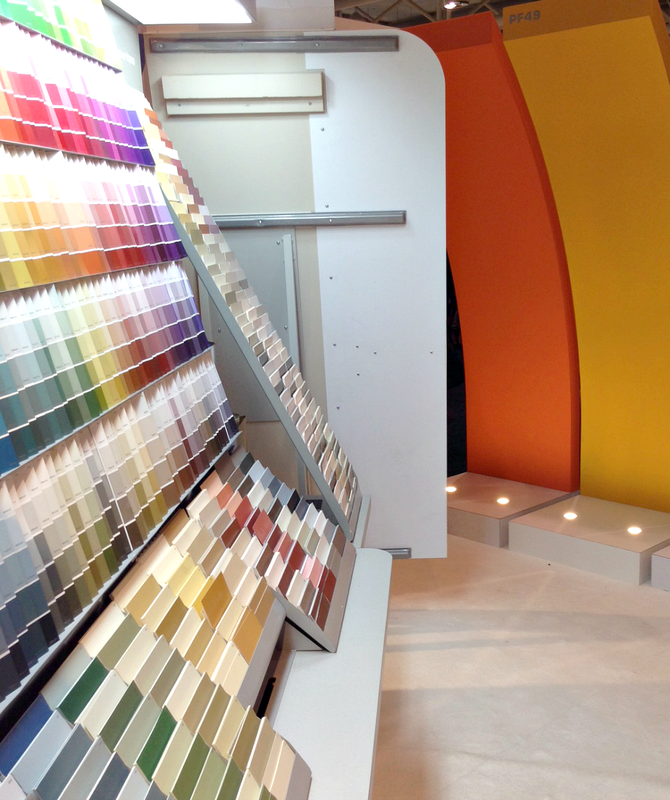 Today is all about colour via Para Paints, small spaces with brilliant design, outdoor spaces to swoon over other prettiness! Can I be totally honest, not only do I enjoy how you can easily give a space new life with a can of paint but I love the smell of paint. I know, I know, probably not the best, but I really do. 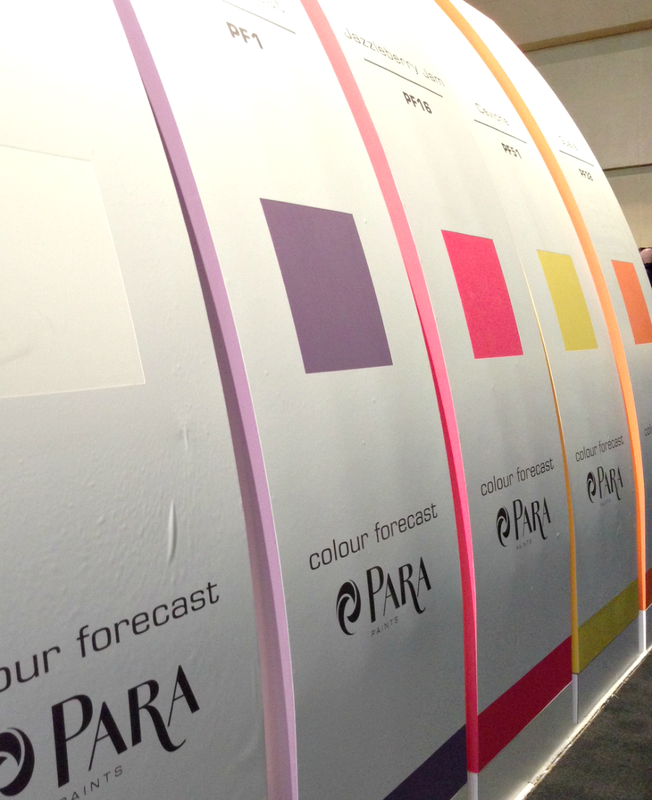 Anyhow, now that you know that about me, let's talk about Para Paints. They could not have had a more visually appealing exhibit. 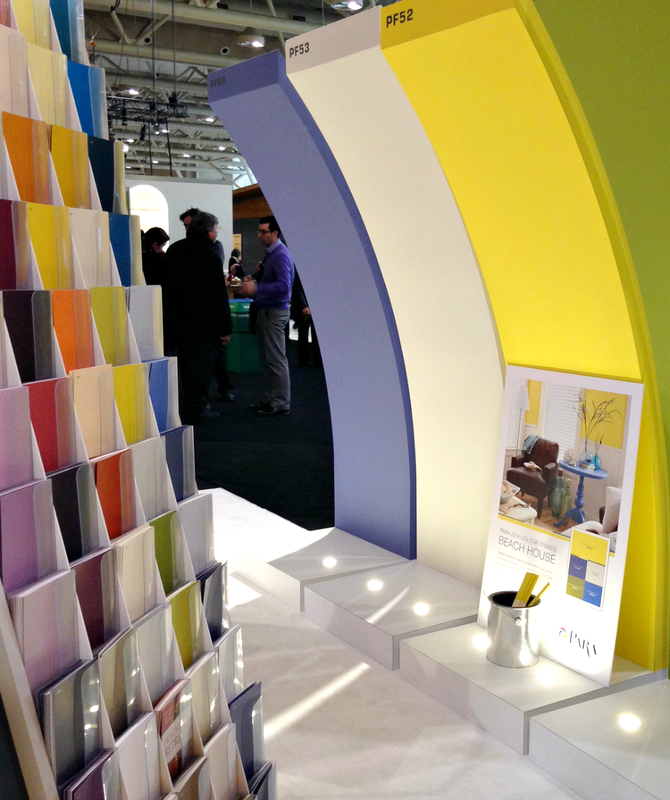 I loved the oversized paint chips and the lighting was perfect. 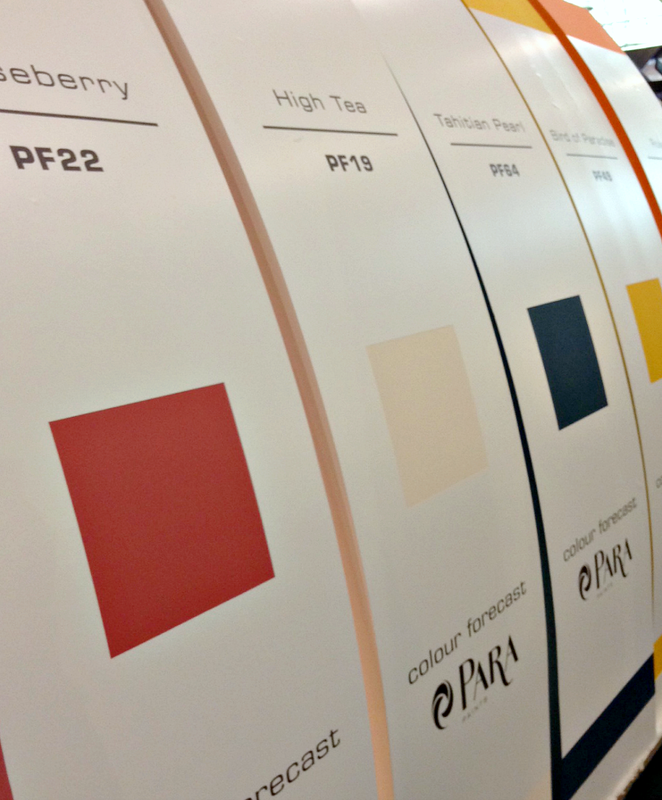 I think many of us can feel a bit uneasy when it comes to choosing paint colours and so it was really fantastic to be able to approach Para with your painting questions. They have chosen Plantain Chips as their colour of the year, a vibrant and cheerful yellow that will brighten up any space! 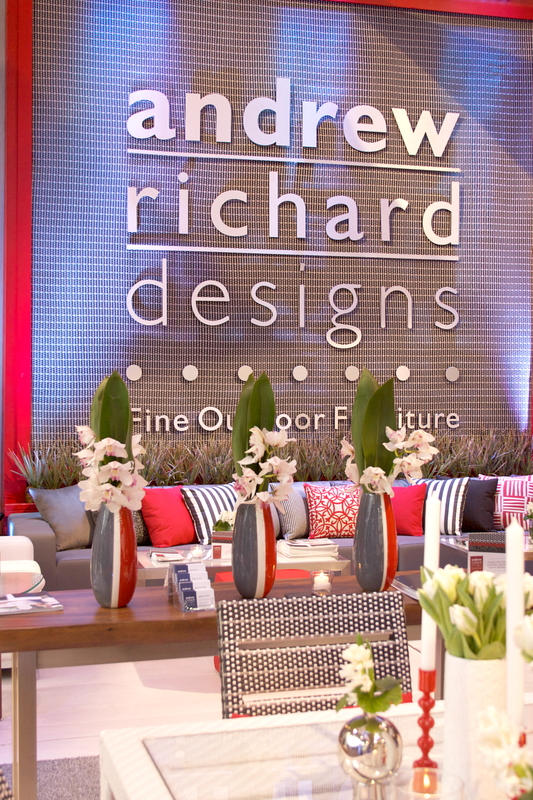 Andrew Richard Designs display was outdoor furniture at it's best. 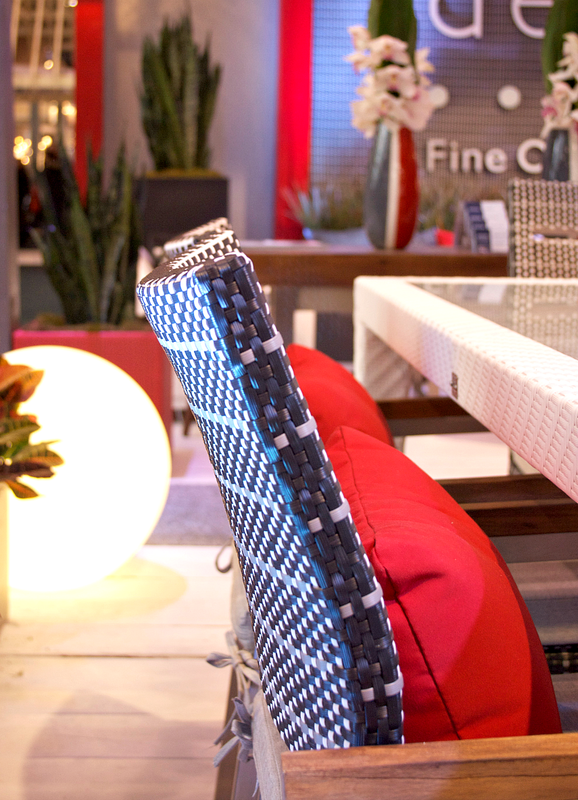 The black and white pattern in the woven pieces paired with the red cushions made for a striking combo. 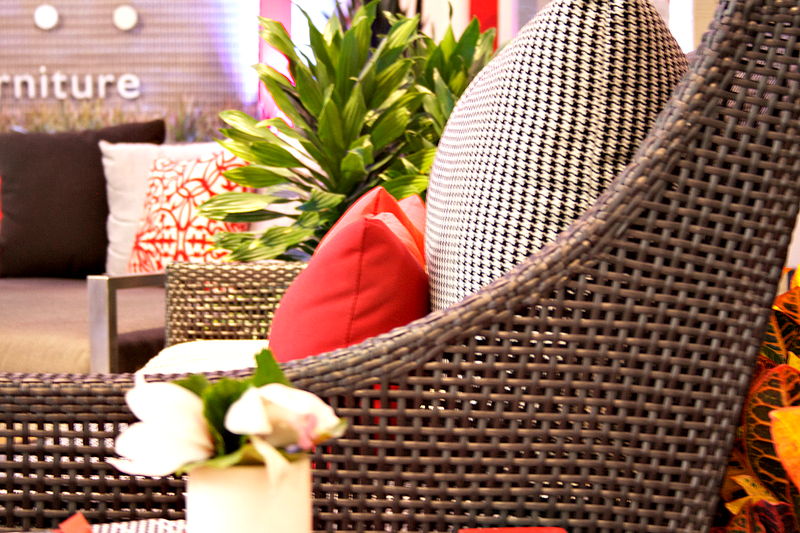 There is something about red cushions on outdoor furniture that just seems so perfect. 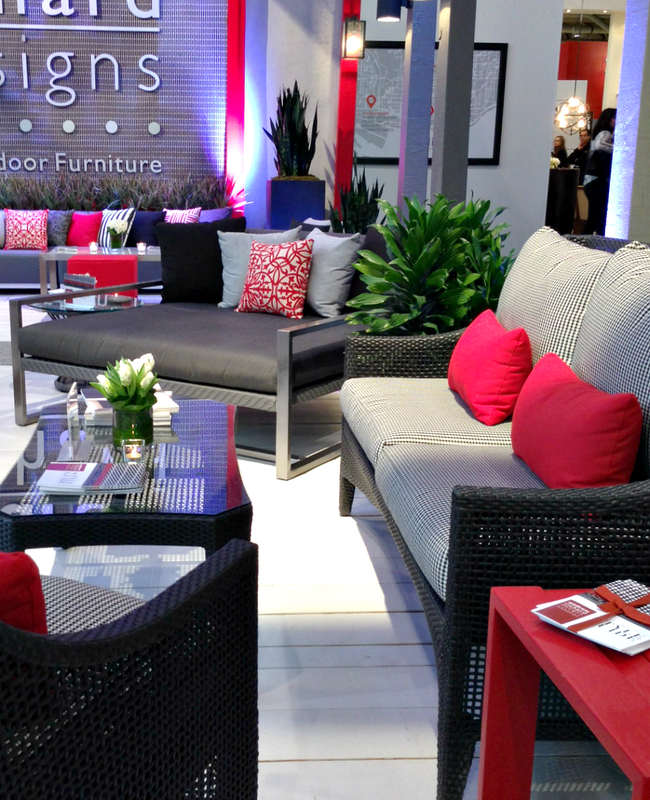 The team did an amazing job setting up this display and making it easy for visitors to envision how they could transform their outdoor space with a few key pieces and thoughtful planning. 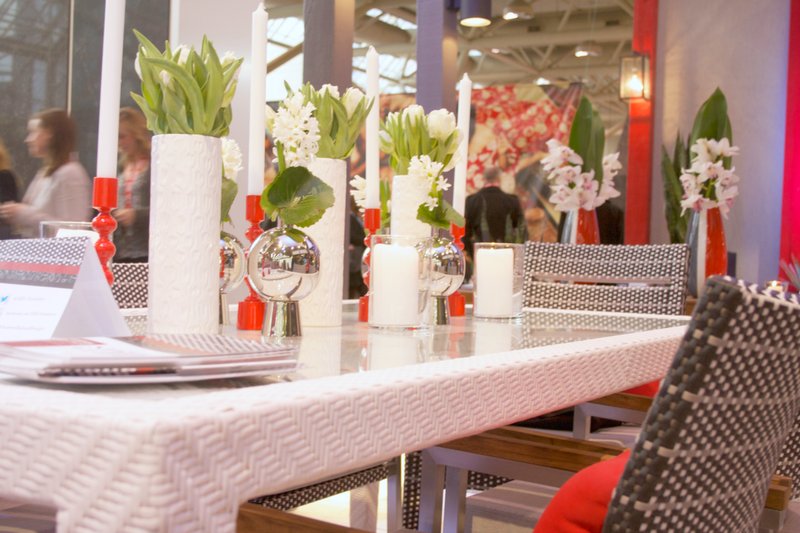 When it comes to small spaces, one would think that you would be limited in terms of counter space, furniture and decor. The Solo exhibit proved that with some careful planning, this couldn't be any further from the truth. You can most definitely live large in a small space. 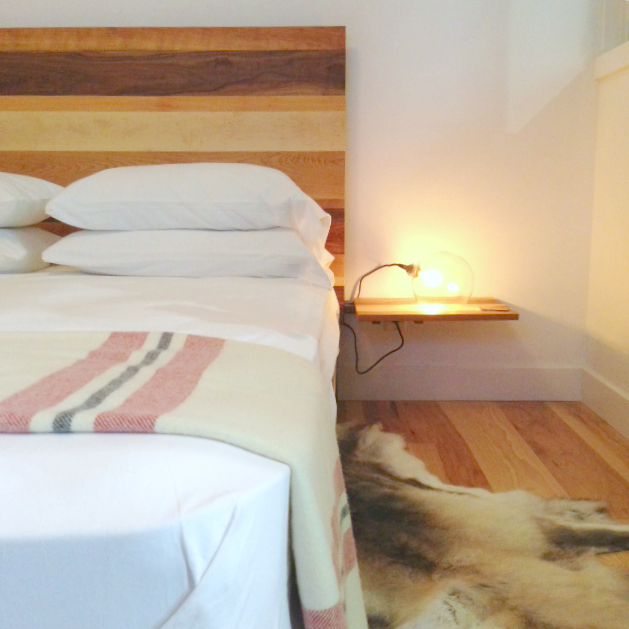 The team took an energy-efficient Bunkie and made it into a modern lovers dream. 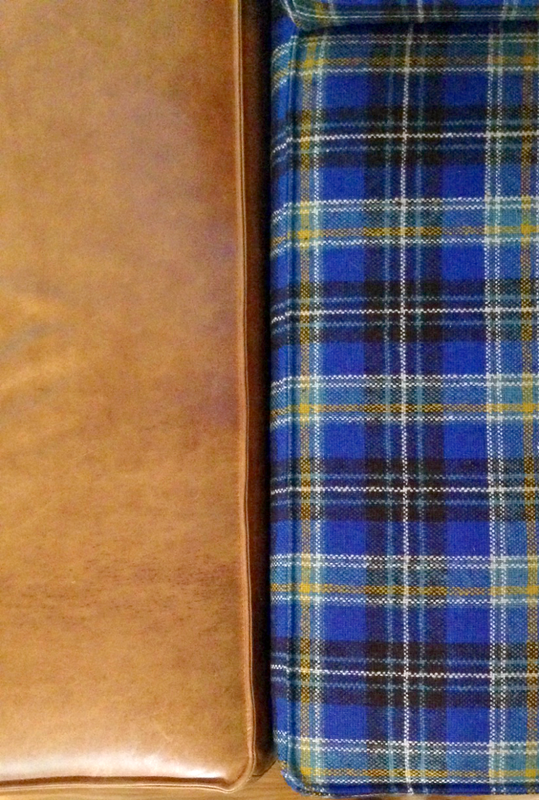 Mixed finishes, gorgeous plaid paired with leather and perfectly chosen wooden furniture made for a cosy and applaud worthy space. Truly magnificent. I mean really, there was SO much to see at this amazing show and to be honest, I'm kinda sad that this is the last of the recaps. It was so fun to relive the weekend through writing these posts. I hoped you enjoyed touring the show through my eyes and I'm really looking forward to attending next years show, the countdown is on. 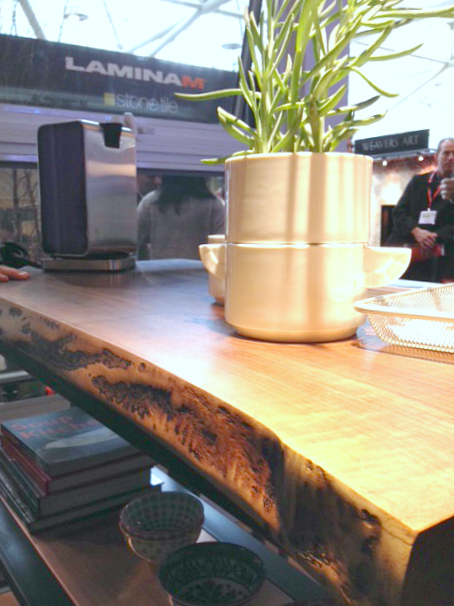 I wanted to once again thank Sarah Richardson for taking the time to share my post about her gorgeous booth. That is something that will stick with me forever, truly. A really amazing moment for me :) Thanks, Sarah! يسبب الذباب الإزعاج بسبب صوته وبقائه يدور حول الشخص حتّى بعد محاولة طرده باليد؛ بسبب امتلاكه ذاكرة قصيرة تجعله يعود لنفس المكان الذي طرد منه سريعاً، كما يستغلّ الذباب فتح الشبابيك والأبواب خلال الصيف ليدخل ويحطّ على الطعام والشراب والأشخاص. ويمكن التخلص منه بالطرق الآتية: قطع حبّة ليمونة إلى نصفين، وغرز مسامير القرنفل فيها، ووضعها في مكان وجود الذباب؛ ممّا يدفعها للمغادرة بسبب كرهه لهذه الرائحة. الاستعانة بالنباتات العطرية في المطبخ كالريحان والنعناع. طريقة المصيدة، وتتمثل بإضافة القليل من الخل وسائل الجليّ في كوب من الماء، ووضع الخليط في أماكن وجود الذباب ليقترب منه ويسقط داخله، ومن المستحسن تجديد المصيدة كلّ يومين.